WHATS THE BIG DEAL WITH STORMWATER? After rainwater hits the ground, it picks up pollutants in its path and flows through MS4s, which are the system of drains, ditches and pipes that transport the stormwater into a body of water – usually a nearby river or stream. While regular stormwater is simply water, it is these pollutants that the water picks up on tis way to that body of water that is the concern. The water picks up the fertilizer that you used on your lawn, the soap, scum and oil grit from when you washed your car in your driveway, pet waste (and the bacteria that goes with it) that was left in the yard and more as it journeys through gutters, down storm drains and into the city’s stormwater system into our rivers and down into the Chesapeake. Unfortunately, this system has also been used illicitly for those seeking to dispose of chemicals and oils – all of which end sup in our waterways. Stormwater management is a big deal and Pittston is on top of it! 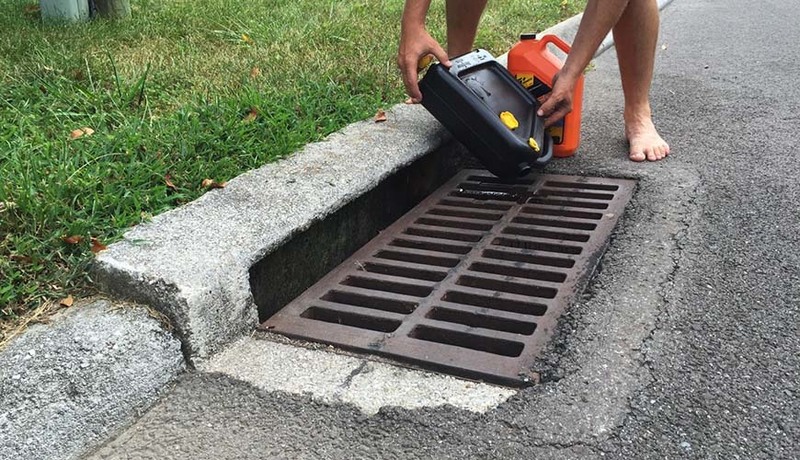 Discharges from municipal owned stormwater collection and conveyance systems in Pittston are regulated under the Pennsylvania Department of Environmental Protection Municipal Separate Storm Sewer System (MS4) program. The goal of this program is to eliminate the impacts that discharges from these systems have on the health of our local waterways. When it rains, chemicals, oils and grease, debris, litter and sediment which may enter these systems can contaminate and adversely impact the quality of our waterways. The residents of Pittston play an important role in minimizing those impacts by understanding the importance of how these systems contribute to the health of our local waterways. Therefore, we have provided links to educational material developed by the Pennsylvania Department of Environmental Protection below so our residents can be better informed of how they can participate in improving the quality of discharge from the municipal stormwater systems. Located on the banks of the Susquehanna River, the City of Pittston takes the protection of Pennsylvania’s waterways seriously. We have seen the results of illegal dumping first hand and in guidance with MS4 guidelines, the city has established a stormwater pollution reporting mechanism so that the public can report illicit discharges, illegal dumping or outfall pollution. Please use the form at the link below to report illicit discharges. Wyoming Valley Sanitary Authority (WVSA) hereby gives notice of the 30-day public comment period for its National Pollutant Discharge Elimination (NPDES) Stormwater Discharges from Small Municipal Separate Storm Sewer Systems (MS4) Pollutant Reduction Plan (PRP). Best management practices (BMPs) are proposed in the regional Plan to satisfy PRP requirements for the Chesapeake Bay and local stream impairments. The Plan will be discussed at a public meeting on August 10, 2017 starting at 4PM at the offices of WVSA.